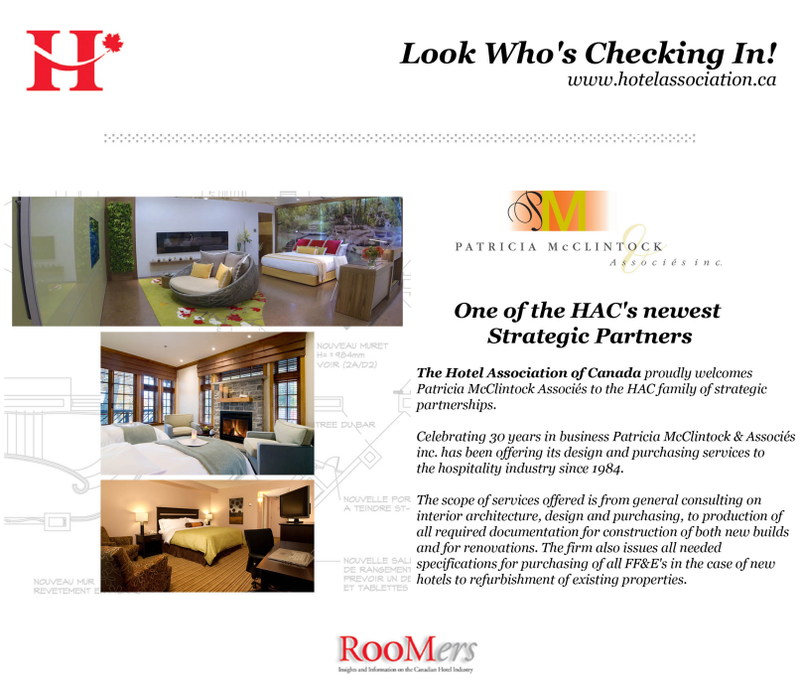 The Hotel Association of Canada proudly welcomes Patricia McClintock Associés to the HAC family of strategic partnerships. Celebrating 30 years in business Patricia McClintock & Associés inc. has been offering its design and purchasing services to the hospitality industry since 1984. The scope of services offered is from general consulting on interior architecture, design and purchasing, to production of all required documentation for construction of both new builds and for renovations. The firm also issues all needed specifications for purchasing of all FF&E’s in the case of new hotels to refurbishment of existing properties.